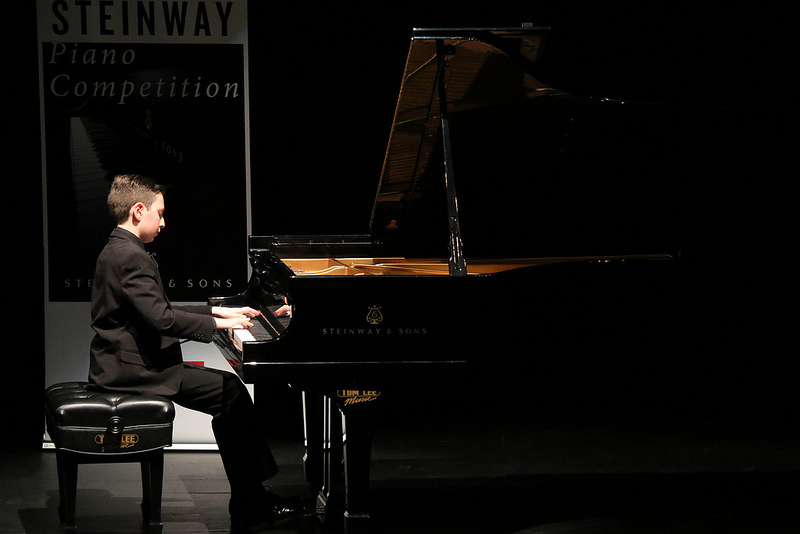 On May 27th at the Vancouver Playhouse, a theatre that has over half a century of history, Steinway and Sons hosted its first ever annual Piano Competition. Close to 200 friends and family gathered to join the contestants for the awards ceremony, all buzzing with excitement to find out the results. The ceremony took place in three stages. Firstly, all contestants in the same division were invited on stage to receive an honorary certificate. Then, gold, silver, bronze and honorable mention medals were presented. 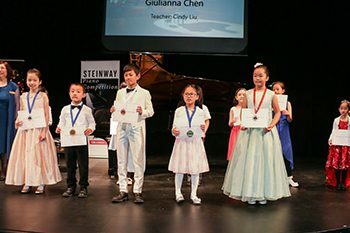 All winners were also awarded medals and championship prizes from Steinway to congratulate them for their hard work and dedication towards perfecting their craft. 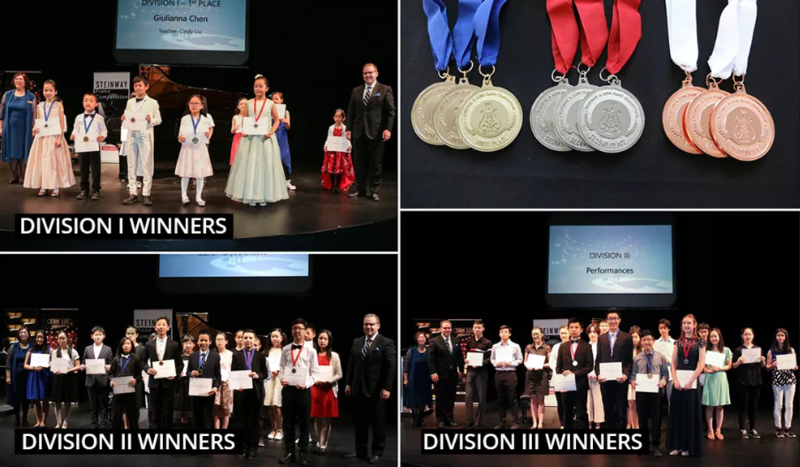 After the awards ceremony, the top three winners from each division were invited onto the Vancouver Playhouse stage to play on the same beautiful Steinway grand piano that many famous pianists have performed on in the past. The winner's performances were astounding! 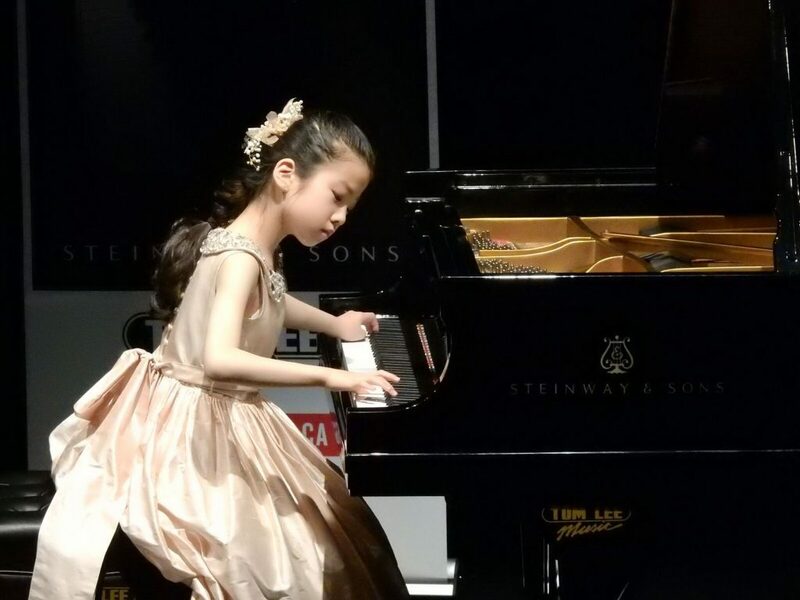 To see so much talent in children so young not only stunned the audience but also showcased the incredible capabilities and high standards upheld by Steinway's Piano Competition. Winning contestant from all three divisions. 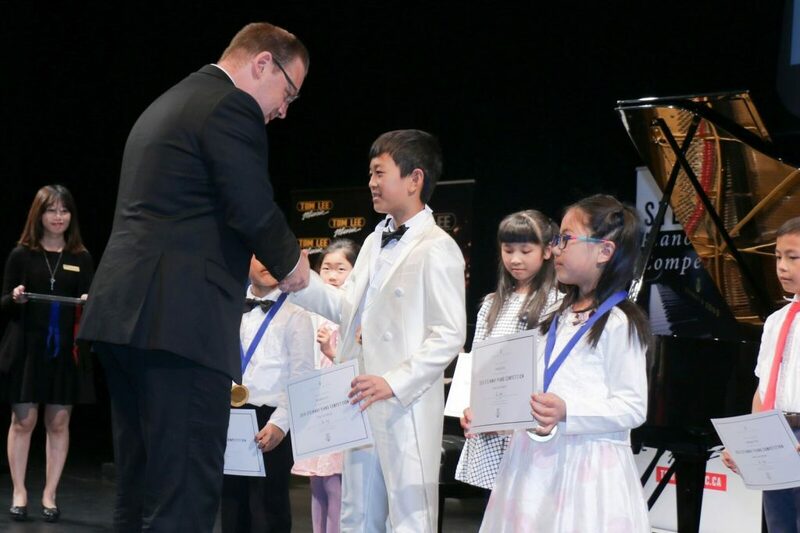 As this was the first ever annual Steinway Piano Competition in North America, Tom Lee Music made every effort to provide an unforgettable experience for everyone. Along with presenting the awards, Vice President of Tom Lee Music Graham Blank gave a wonderful opening and closing speech. Mr. Blank particularly thanked both parents and teachers for their continuous support and contribution to sharing the arts with the next generation. By introducing their children into the arts they have blessed them with a musical foundation that will last a lifetime, both physically and spiritually. On top of that, without their support, these young performers wouldn't have the tools they need to grow into the incredible and talented individuals they are today. Every contestant has their own unique musical story. Behind that shining moment on stage is the same endless determination, countless hours of practice and supportive teachers and family cheering them on. 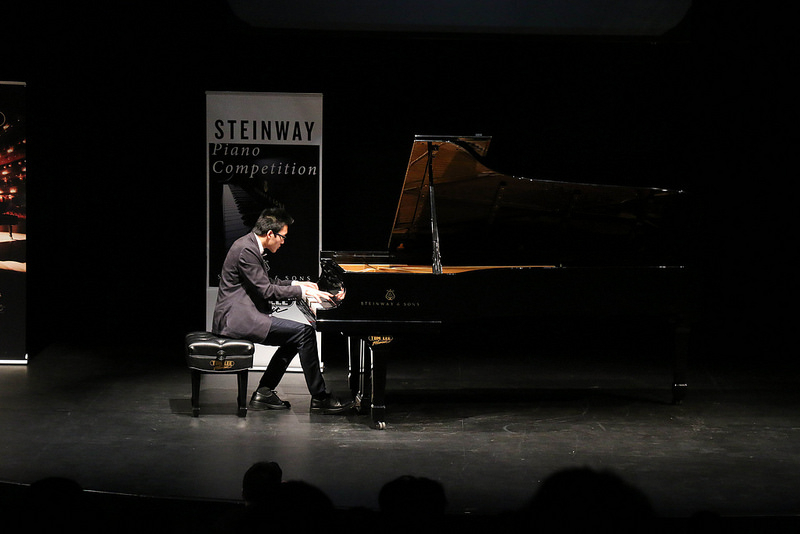 As Steinway's contest judge Jenny Lin said, being a musician is a long process and competitions are only a part of it all. It is not about winning, but instead about continuously learning and improving as that is the true value behind each competition. 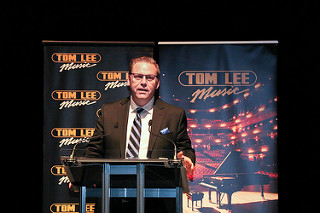 On behalf of all of us at Tom Lee Music, we would like to thank everyone who came and helped make this such a successful event, with special thanks to Rebecca Cheng, Music Director for Tom Lee Music Academy for organizing.